According to a Common Cause-CSDS report, just 8% of people in UP and 9% in Punjab find performance and perception if police satisfactory. Himachal & Haryana top the list with 71%. New Delhi: The people of Himachal Pradesh and Haryana are rather satisfied with the way their respective police forces function, while Punjab and Uttar Pradesh think they’re awful. 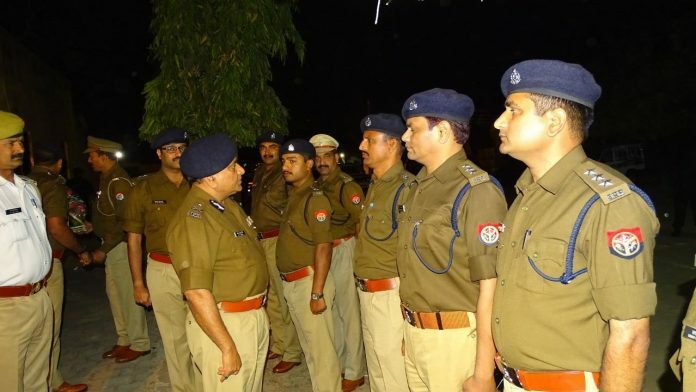 According to a report by NGO Common Cause and the Lokniti programme of the Centre for the Study of Developing Societies (CSDS) on the performance and perception of policing across India, released Wednesday, the satisfaction level of people in Himachal and Haryana is 71 per cent, while UP scores a mere 8 per cent, and Punjab 9 per cent. The report, prepared after analysing official data, including the National Crime Records Bureau and the Bureau of Police Research and Development, and a perception survey across 22 states, highlighted the gaps and systemic inefficiencies which have become endemic. “The analysis in this report is arranged primarily in terms of best or worst performing states. The information is also given on parameters like age, gender, caste, community, rural or educational status,” a statement released by Common Cause said. According to the report, 82 per cent respondents did not report any contact with the police in the last four to five years. Of all those who reported police contact, 67 per cent contacted the police, whereas 17 per cent were contacted by the police. In this latter category, 23 per cent were Adivasis, followed by Muslims (21 per cent), OBCs (17 per cent), Dalits (16 per cent), upper castes (13 per cent) and others (10 per cent). Vipul Mudgal, director of Common Cause, also said that the poor were nearly twice as likely to be contacted by the police as the rich. The report said that the marginalised were more prone to discrimination by the police. Thirty-seven per cent of Scheduled Tribes, 30 per cent OBCs, 29 per cent SCs, 32 per cent Muslims and 27 per cent upper caste Hindus were dissatisfied and alleged discrimination by the police. Also, non-literates were found to be three times more discriminated against by the police than literates. Fifty-one per cent of people reported class-based discrimination by the police, while 30 per cent said there had been gender-based discrimination. Caste-based discrimination was reported by 26 per cent of people, while discrimination based on religion was a complaint for 19 per cent of people. On the allegation that the police targets specific communities, the report said 38 per cent respondents agreed that Dalits were falsely implicated in petty crimes, 28 per cent said Adivasis were falsely implicated for being Maoists, while the corresponding figure for Muslims and terror-related charges was 27 per cent. “The report tells us how police works in states. It tells us about the state of governance. When there is no accountability of the police, there will be anarchy, rights of the marginalised population will be undermined, and the idea of ‘rule of law’ will vanish,” said Justice A.P. Shah, former chief justice of the Delhi High Court. The report mentioned that the state of forensic science across India was terrible. There is a 67 per cent staff shortage in UP and Madhya Pradesh, and as much as 80 per cent in Bihar. The report also stated that disposal of cases against SCs, STs and children was poorer than the total cognisable crimes in most states. The report said that 19 out of 22 states did not give adequate representation to SCs, STs and women in the force. “We found that 13 out of 22 states lacked in giving representation to OBCs, 16 out of 22 to STs, and none of the 22 states gave required representation (33 per cent) to women,” the report said. Speaking about the overall state of the police, former DGP and Indian Police Foundation chairman Surya Prakash Singh said: “Politicisation and gradual criminalisation has corroded policing. Hence, there is a need for reform. Reforms are needed if we want to sustain the momentum of economic progress. To attain economic progress, law and order needs to be sound, else why will a businessman ever think of investing in a state?” he said.